When I was in high school I would have died at the thought of being a homemaker. Seriously, it was like my worst fear. The thought of being a “traditional” woman scared me. 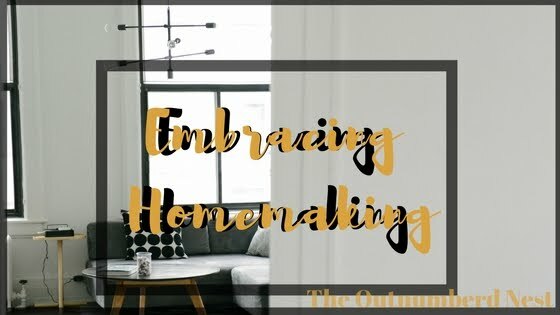 I didn't realize that being a "traditional" homemaker meant that I would still have my independence and that I would actually start to enjoy the art of homemaking. I also wasn't aware that it was what God wanted from me. As a Christian woman, our Godly “job” is to be the homemaker. I really tried to run from that fact for a long time. I didn’t want it, I thought it degrading honestly. 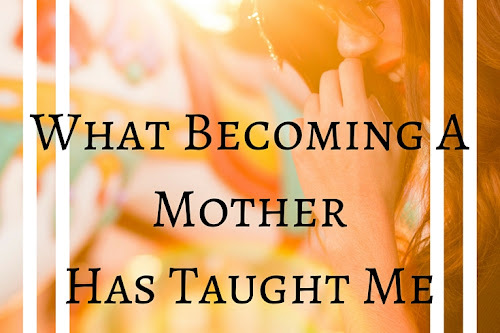 Even after I started becoming a stay at home mom, for a long time I didn’t embrace it. I didn’t realize that it is okay to want that. When I became a married woman, I went into it with a partly bad attitude. I saw him as someone who should do just as much housework as I did, and someone who should make dinner twice a week with me. 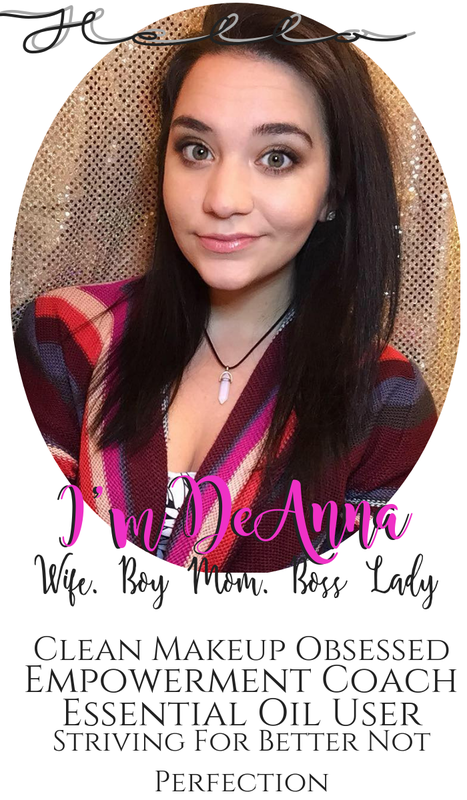 My mom raised me to be an independent woman, with an education and a way to make my own way in this world. That was great, and if I had been a single woman for longer it would have been amazing. But alas, I met my other half at a young age. I wasn’t prepared. I hadn’t learned anything in school about how to run a home, decorate a home, pay bills, or heck…. make a a home a home. I didn’t know. So I prayed to be shown what I should do. I suffered from resentment towards my husband for not helping, resentment towards my home because it was always cluttered, and resentment towards myself because I didn’t know what I was doing. I turned to God for answers, I prayed and cried... I did a lot of soul searching. I found myself pouring over Proverbs 31, and the woman that God wanted me to be. 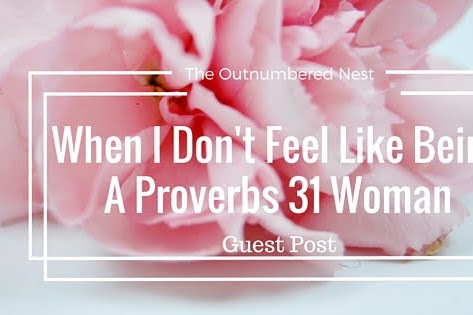 Like it or hate it, Proverbs 31 clearly shows how the woman is the "ruler" of the household. It is her job. Before I go any further, I believe in the traditional biblical marriage where the man is the head of the household. This does not, I repeat does not mean that he can "control" his wife, abuse his wife, or any of those crazy scenarios you are thinking of. It also does not mean that if you work, that I am condemning you either because I'm not. Back to what I was saying, there it was in black and white the woman I should be. I decided to take it verse by verse and slowly but surely start trying to be that woman. I noticed that when I changed my heart, the whole attitude of my house changed. I noticed that I started feeling proud of the job I was doing at home and that I was starting to form a habit of being able to keep the house (mostly) clean, the children (mostly) put together, and the food (mostly) not burnt. I noticed that the change in my heart is what I needed all a long. It wasn't my husband's fault, nor was it my children's....it was mine. I am the only one that can be blamed for the bitterness that tainted the household. But with the help of the Lord, I am overcoming that. homemakers. I am wanting to let other's know that it's okay to want to be a homemaker, and its okay to struggle at being a homemaker. I am both-everyday. I want to be a great one, but I'm still learning. Life isn't like what it was years ago when the mothers taught daughters to sew, cook, clean, and maintain. No, many women don't even see or have a class anymore in school that teaches these things, so learning this art is hard. Very hard. But I'm here, and I'm ready to teach all that I know to anyone willing to learn, and we can learn together. Remember that wives and mothers set the attitude for our families, remember the saying "happy wife, happy life" or "if momma aint happy, than noone is happy." There is probably some truth to those sayings. So make yourself happy, make your home happy, and embrace your inner homemaker. Oh, this is good. I go through waves of resentment and frustration over my homemaker status, and I've been doing it full-time for ten years! Culture tells us we owe it to ourselves to demand more, but I can't help but remember when I first found out I was pregnant - I KNEW that I didn't want to do anything but raise my children and take care of our home. God knows what I wanted to do before I ever did, and he continues to remind me. This is wonderful and needed. 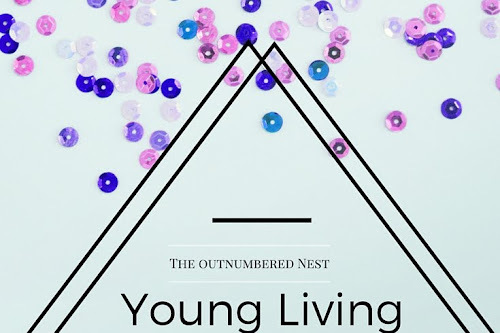 I have been a homemaker for years now, but I am still struggling to do it well - especially decorating and cooking, both things to which I do not have a natural bent! But it is very true, I believe, that the mother is the heart of the home, and when things get crazy, Mama guards the peace of the house (hopefully) and keeps her family together. Also, all those homecooked meals and all that necessary maintenance around the house spell love for the family and for our lives together. Great post!